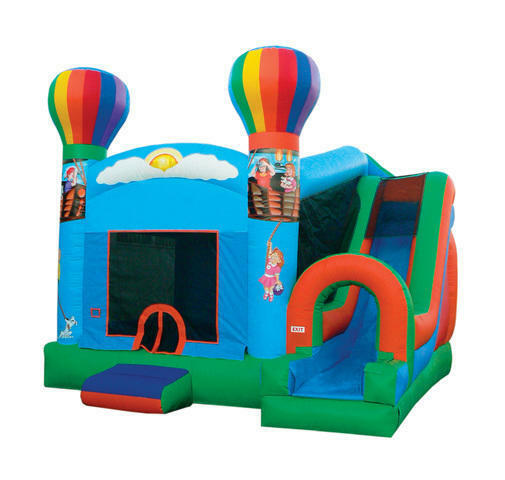 This hot air balloon theme bounce house and slide combo is brand new this year and is a great looking high quality unit. It has super bright colors for boys or girls and can be used indoors or out. This combo unit is 19x17 and has a large bounce area for plenty of fun. Kids can climb the ladder and zoom down the slide. There is a basketball hoop inside. The balloon combo unit will be a hit at any party or get together. This commercial grade bouncer is manufactured in the USA.